I typically use this feature to talk about movies, but I wanted to do something different today and look at one of the new television shows I’ve caught this season. 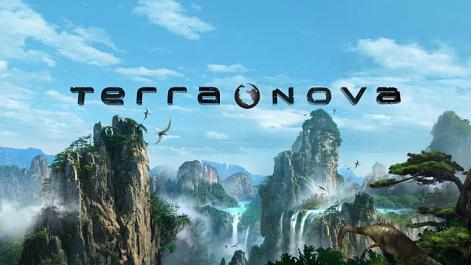 I want to talk about Terra Nova. First, I’ve been enjoying this show. It’s hard not to. The opening scenes in the Blade Runner meets Soylent Green future were fantastically bleak. The dinosaur effects are the best effects I’ve seen in a television series. Yes, they’ve gotten some crap for the effect quality, but that’s making a comparison between huge budget movies, and big budget television series. It’s differences of scale. But that’s not what I want to talk about, because special effects don’t really have much to do with the writing craft. I want to talk about the one thing I feel is missing from Terra Nova. The one thing that could make the show better. Oh certainly there are humans there on the screen. They walk around, they talk to each other, they drive the plot. But the show doesn’t have characters. It has archetypes. And that’s a problem I’ve seen in short stories and novels, it’s a problem I’ve seen in my writing. And it’s a tough problem. Look. Archetypes are great. They exist for a reason. But much like their close relatives, clichés, they have their places, their uses, but must be properly handled. Let’s look at the family at the heart of Terra Nova, since it’s marketed as a family drama that just happens to include dinosaurs. It has Jim, the dad who’ll do anything for his kids. Elisabeth, the mom who just wants the family to be a family. Josh, the protective older brother. Maddy, the brainiac sister. And Zoe, the youngest daughter who I can’t even adequately describe as anything other than “the youngest daughter.” Which is a shame because her mere existence is the catalyst for the entire series. That’s it. I can’t give any better description of the family members after three hours of television. Yes, there’s still 10 hours left to the season, but characterization isn’t something that should wait. It isn’t something that should take a back seat to plot. It’s something that should be integrated into the plot. Character development spurs plots, plots dictate growth. The two should not exist separated from each other, one should not take its turn and the other wait. Let’s look at this week’s episode (second or third episode, depending on how you count). Tiny pterodactyls attack the compound. Elisabeth meets an old flame in the compound, Jim discovers the flame is who put her in for inclusion with the project. The kids have to shelter together during an attack. This is all plot, and this is great. Some of it is single episode plot, some of it feels like it could be the start of a longer drama within the show. But through it all, the people on the screen staunchly refuse to be characters. There’s no conflict within Elisabeth about the discovery of her old flame, about the implication that he brought her back in time in hopes that her husband wouldn’t or couldn’t also come. Jim reacts, but only within his “must protect family” archetype. Josh takes on the protective role when it’s forced upon him during the attack, but there’s been no conflict between him and his sisters that would make this an actual growth moment. The one brief exception of archetypes not becoming characters came in the form of the compound’s leader, Commander Taylor. His archetype is the gruff military alpha male (a part Stephen Lang is well suited for), but he’s given a moment against archetype when it turns out he’s also been acting as surrogate father for a teenage girl whose parents disappeared. That’s a good bit of actual characterization, having a character play against the archetype that’s been set up for him. I was talking to someone about the show and mentioned that it was a shame that the show’s biggest asset, it’s cinematic style, will probably be its downfall when it came time to make a cancel-or-renew decision. And it’s great that the show is more cinematic than the typical television fare, but that I’m seeing that as the main asset of the show is somewhat damning. The show is going to quickly need characters, because I’m already getting frustrated by archetypes. And that’s something that I’m going to look for more and more in my stories, ensuring that I’m not just casting archetypes in place of characters because it’s quicker and easier that way. Archetypes are a starting point for characters, just like clichés can be a starting point for plots. But they don’t stand on their own. They need to be tweaked, modified, and crafted until they’ve gone from being two dimensional to three.